Sydney is known for nightlife, trails, beaches, parks, and museums. 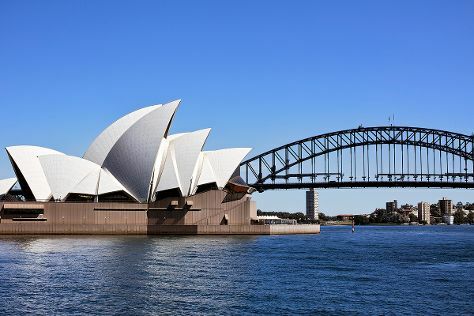 Your plan includes some of its best attractions: enjoy some music at Sydney Opera House, appreciate the extensive heritage of The Rocks, take a stroll through Darling Harbour, and take in nature's colorful creations at Royal Botanic Garden Sydney. Start your trip to Sydney by creating a personalized itinerary on Inspirock. If you are flying in from United States, the closest major airport is Sydney Kingsford Smith International Airport. In April in Sydney, expect temperatures between 73°F during the day and 59°F at night. Finish your sightseeing early on the 19th (Fri) so you can travel to Gold Coast. Spend the 19th (Fri) exploring the fascinating underwater world at Sea World Theme Park. 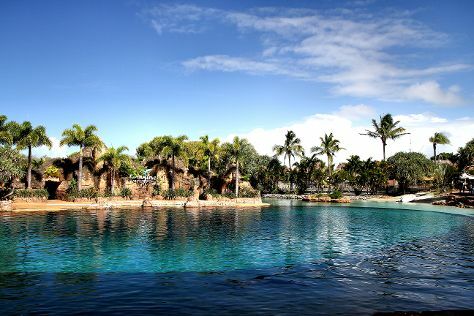 There's much more to do: get in on the family fun at Warner Bros. Movie World, make a splash at Dreamworld, and enjoy the sand and surf at Surfers Paradise Beach. To find reviews, traveler tips, other places to visit, and more tourist information, read Gold Coast road trip planning tool . Getting from Sydney to Gold Coast by flight takes about 3.5 hours. Other options: do a combination of flight and train; or drive. Expect a daytime high around 78°F in April, and nighttime lows around 62°F. Cap off your sightseeing on the 22nd (Mon) early enough to travel to Cairns. Kick off your visit on the 22nd (Mon): see some colorful creatures with a scuba or snorkeling tour. On your second day here, look for all kinds of wild species at Hartley's Crocodile Adventures and then hike along Esplanade Boardwalk. To see more things to do, ratings, photos, and tourist information, refer to the Cairns trip planner . Getting from Gold Coast to Cairns by flight takes about 5.5 hours. Other options: do a combination of train and flight; or drive. Traveling from Gold Coast in April, expect Cairns to be somewhat warmer, temps between 85°F and 72°F. Cap off your sightseeing on the 24th (Wed) early enough to travel back home.